Earn up to $50k as a Production Worker! 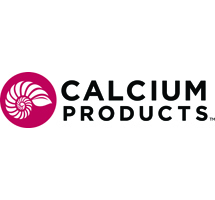 Calcium Products manufactures premium, pelletized calcium-based fertilizer that improves soil fertility and crop yields. We are a growing company and we need qualified and driven candidates to fill open positions. Pre-employment physical capacity testing, physical examination, drug and alcohol testing and a background check required. We offer an attractive compensation and benefits program that includes medical/dental/vision/life insurance, 401(k), PTO, holiday and potential bonus opportunity! Interested applicants should contact Calcium Products at 515-864-7330 or fill out an application at Calcium Products 50602 330th Avenue, Gilmore City, IA 50541 or Calcium Products 2055 Quail Avenue, Fort Dodge, IA 50501.